I shared the following devotional at last night’s church council meeting. A few years ago, my birth mother, Linda, who lives in North Carolina, was excited to tell me that she had seen a preacher on TV who was so good. In fact, she said, he was probably the best preacher she had ever heard. Now, I was confused by this because, after all, I’m not on TV, so who could she possibly be referring to? Then she said that he even pastored a church near me, in Alpharetta, and maybe I’d heard of him: his name is Andy Stanley. I have to laugh because you can’t be a pastor in Alpharetta, Georgia, and not feel like you’re in the shadow of Andy Stanley and his megachurch, Northpoint Community Church. 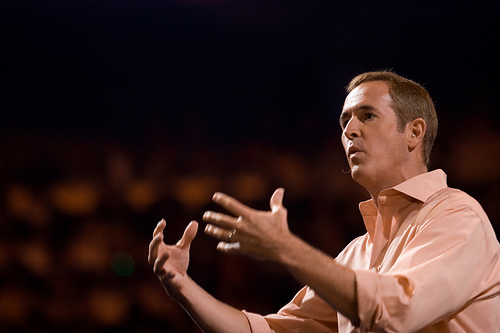 Everybody loves Andy Stanley. And who can blame them? He’s great. His church does better at reaching the unchurched than anyone else. And he recently wrote a memoir about his life—growing up as the son of a prominent Baptist pastor, Charles Stanley, and the experiences that led to his starting Northpoint. And the book inspired me in a number of ways. But what inspired me most about the book was something that Andy probably didn’t even think about when he wrote it. What inspired me most was the fact that Andy’s success seems almost accidental. Seriously! The way he describes it, he stumbled into ministry. First, he planned on getting a Ph.D. and teaching at a university. But he couldn’t get into the grad school he wanted to get into. So his plans fell through, and he needed money. The youth ministry position at his dad’s church, First Baptist Atlanta, opened up, and he took it—but only on a short-term basis. He wasn’t “called” into ministry. This wasn’t something he would do for very long. But he was good at ministry, and soon he started filling the pulpit for his dad on occasion. And he was good at preaching. This wasn’t what anyone planned. Andy was very successful running this satellite campus. Thousands of unchurched people flocked to this warehouse church. The north campus grew so large so quickly that some people in the midtown church suspected that Andy was going force a hostile takeover of the church and kick his dad to the curb. Instead of making a bad situation worse, Andy made the painful decision to resign. So, through a series of personal and professional false starts, and setbacks, and curveballs, and disappointments, Andy started Northpoint—a church that would became a model for reaching unchurched people. And my point is, it wouldn’t have happened at all, except that nothing seemed to go as planned in Andy’s life! Isn’t life often like that? Often the best things in life don’t go according to to plan—or at least our plans. Maybe the best things in life happen according to God’s plan, not ours. A while back I was going through a tough time in my life, and I was complaining to a friend, who happens to be a Jew, as well as a Bible scholar. I asked angrily: “Why is this happening to me?” And my friend, who’s sort of like an honorary rabbi to me, said, “Don’t ask, ‘Why is this happening to me?’ Instead ask, ‘Why is this happening to me now?’” In other words, he wanted me to imagine that God was using this disappointment—this setback, this bad situation—in order to teach me something that I needed to learn. And I’m like, “Of course! You’re exactly right!” God’s always doing stuff like that, isn’t he? Because you better believe he’s up to something good! Amen? This entry was posted on	September 18, 2013 at 11:52 am	and is filed under Uncategorized. This is very good. Certainly applicable to me at the moment. Lots of little (and not so little) things going wrong. So what’s the deal? Guess I will have to wait and see. One question, though. Isn’t it sometimes possible that the things that are happening are the result of sin? Like what happened in David’s life after Bathsheba and Uriah? This is not meant to deal with the question of “wrath” versus “loving discipline.” Instead, to deal with whether the “good” is aimed at some ultimate improvement in the earthly circumstances. I don’t see that what happened to David in the “aftermath” of his life ever got any “better” than how things were going before that “great sin.” So, the point is that sometimes there are “happy” accidents leading to a good end, but might there not sometimes be “unhappy” circumstances which relate to punishment? Sure, but when God punishes or disciplines us it’s always for our good. Even if that punishment is letting us suffer the consequences of our sin. He knows what’s best. Brent, may I use your bit about the conversation with the rabbi in an upcoming sermon? We are dealing with the aftermath of the flooding out here in CO and it fits when we are asking, why us? Thanks, Bob! I look forward to seeing that link. Hello, I appreciate your openess and the fact you believe that non-Christian modern rabbis can also have deep spiritual insights. There are many bad situations we can interpret as being caused by God for bringing about a greater good. But there are horrible tragedies (like all the children having suffered atrociously during the Holocaust) where many of Jesus promises ring pretty hollow. The only way they could be compatible with a loving God is if their victims will spend 100000…… years blissful years in the presence of the Almighty. On a purely emotional level this is a consolation for me, but many atheists doubts than a compensation, even an eternal one, can erase evils God has permitted. Thanks so much for the kind words! 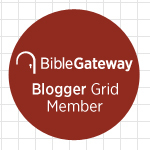 If you type in “theodicy” in the search field of this blog you’ll see that I’ve written and preached with sensitivity to the question you raise. But I believe strongly that God punishes and disciplines his children for our good (which isn’t related to the kind of suffering you mention). As for the other kind of suffering caused by evil rather than God, there’s no way around the fact that God will redeem it in the afterlife. He must, if justice is to be fully and finally done. I would also say that God has wrath toward the very evil you describe. Vengeance is his to repay and we believe he will. Glad to have a friend on the continent. Where do you live? Hey thanks for your answer! I believe that God’s wrath is not one of His basic features but a natural consequence of His love combined with the unjust and cruel behavior of many humans. If you look at my blog you’ll probably conclude I’ve a liberal theology tough I consider myself a progressive Christian since I don’t reject the existence of a supernatural world like liberal Christians typically do. I hope we’ll have enjoyable interactions in the future! I’m a Germanic Frenchman from the region Lorraine/Lothringen (founded by king Lothar) and have grown up with both a French and a (ethnic) German culture. Marc, I am interested in your comment that “I utterly reject the idea that this retribution would be eternal.” I can understand the sentiment, but, just as with Oprah’s rejection of a God who is “jealous,” we can’t just remake God to be whatever we would like him to be. “I am that I am,” he told Moses. So, what is necessary for us is to find out what he says he is, and then adjust our actions or responses accordingly. So, I guess what it comes down to is whether you believe Jesus or not. Finally, however, I think there is a very important point to keep in mind here. That is, we carry the keys with us! Nobody has to go there! It is up to people’s own choices. “For God so loved the world [Jesus says], that whoever believes in him shall not perish [experience everlasting death, or hell], but shall have everlasting life.” John 3:16. So, (a) he gives us fair warning, (b) he paid the ultimate price by dying on the cross to provide for such salvation, and (c) he calls out to people, through scripture and Christians, to cross over to his side . It’s up to us whether we say “yes” or “no”–with all eternity hanging in the balance. By the way my true name is Marc! Lothars and Brent, I would say that I agree with Brent that all unjust suffering will be “made up for” in the hereafter. Terrible as the suffering here may be (and it may be), it is “only for a moment” and heaven is for eternity. “Looking unto Jesus, the author and finisher of our faith, who for the JOY set before him ENDURED the cross, despising the shame.” Hebrews 12:2 (NIV). Nevertheless, I can certainly understand the “rings hollow.” I am going through such a period myself presently (though not like the Jewish children spoken of). Sometimes it is certainly hard to see any “silver lining,” and to doubt that there is one. So, I say that in the ultimate analysis, I don’t really necessarily look for any silver lining HERE, just THERE. The “works together for good” may in many cases speak of the “heavenly rewards” that are being earned.